Anyone can teach me pleassee ? how I leave my clothes transparent? how can I make meshes this way? but how can I leave it transparent? P.S WTF??? You make more darker alpha in body_alpha group and nothing was happened? Group called body_alpha? In Material Definition option "stdMatAlphaBlendMode" have value "blend"(find it on simpe)? Your graphic card isn-t old/broken? And you mesh have 2 groups: body and body_alpha. You made alpha on group body_alpha gray and nothing was happened/it's not work. Yes? 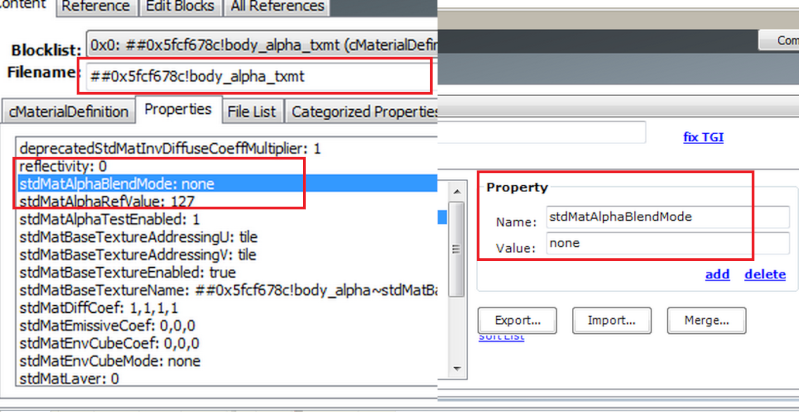 In Material Definition option "stdMatAlphaBlendMode" have value "blend"(find it on simpe)? is what happens with my mesh !